For those who know me should already know that Juicy J is and forever will be my eternal motivation. After decades in rap he’s still out there living his best life no matter what anyone might say about it. That means musically he hasn’t evolved much since he first came on the scene, it’s still that same trippy, bass heavy, turn up music we’ve all come to know and either love or hate. Stay Trippy was his most mainstream and radio ready project yet, but Rubba Band Business takes things back to his grittier street sound. And honestly, it felt a bit underwhelming. I didn’t want him to go full on pop but I actually enjoyed his take on the more mainstream sound, and here things sound a bit generic and no amount of energy he brings to the songs can really elevate it past average. Ultimately it feels like an album full of fillers, which is okay for a mixtape but I expect more out of a major album. Have you heard Rubba Band Business? What’d you think about it? Did you like Juicy J’s return to his grittier, street sound? Let me know in the comments below and be sure to leave your own ratings and reactions for the album. 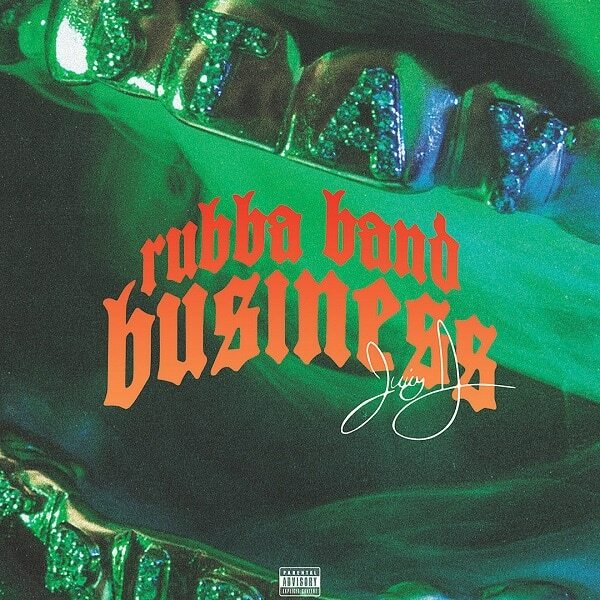 Juicy J returns to his grittier, more street sound on his sophomore effort, Rubba Band Business. That's not a bad thing, but the end result sound a bit too generic for more liking. Not even his relentless energy could elevate most of the songs past average.